Essence and Catrice goodies!! *dies* THE GLITTERS!!!! The duochrome!! The much raved about Studio Nails topcoat!! 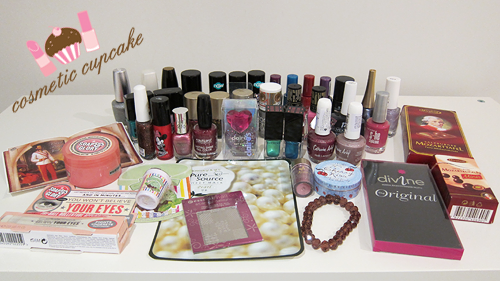 Claire's glitter with cute ring, OPI DS, Catherine Arley holos, H & M, Accesorize, Models Own and Barry M crackles. Assorted polishes including Golden Rose, Depend and S-he. 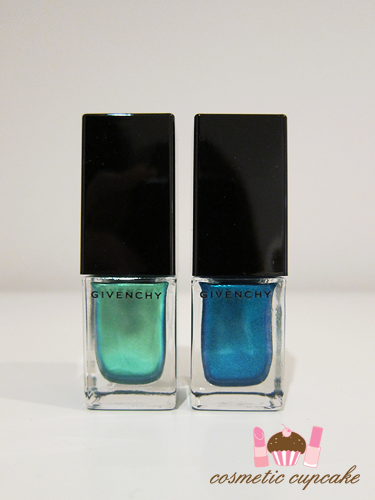 And 2 beautiful Givenchy polishes *faints* I knew they had polishes but who knew so stunning!! EEEEEEK. Christina also included some Soap & Glory items, a gorgeous Sleek eyeshadow palette, lip balms, Essence nail plate, Missha sheet mask and Accessorize body glitter. Thanks for looking ladies! 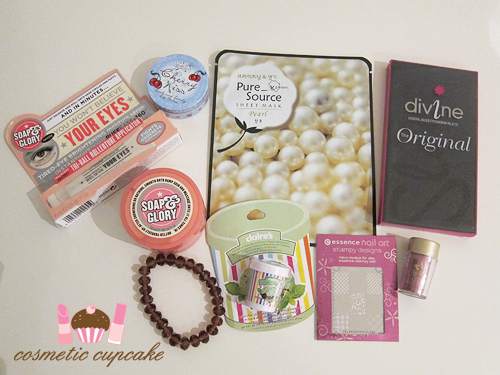 Don't forget to enter my Apothica $50 giftcard giveaway here! That has got to be the best package ever! omg wow....that is one hell of a package! You had to have stayed up all night playing with these lovely items. Can't wait to see all this! Wow what a great package! Lucky! what a fantastic package!! HEAVEN! sigh!